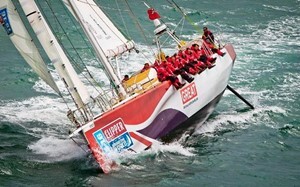 A talk on the Clipper Around the World Race. Tom Way has competed twice and has been Deputy Race Director for the race. Tom will bring humour to his talk and make it an interesting and fun evening. There will be a happy hour (or 3) again! Bar will be open from 19:00 hrs. It should be an interesting evening for both sailors and non sailors alike. The Royal Dorset Yacht Club welcome you to join them for the evening to meet fellow members and friends. Five moorings have been booked in the side-weir backwater. Wet weather routine will be a pub lunch at the Rising Sun in Hurley High Street. Cocktail Party with Sunset Ceremony at 1930. This will be followed by an optional dinner at 20:00 (at £20 per head). "Pie and a Pint" at the Thames Traditional Boat Festival – This will take the usual format of an informal gathering of those RNSA Thames Branch members attending the Festival on the Saturday. We hope to see several members' boats at the event. Group Visit to the Thames Barrier Visitor Centre – Saturday 28th September; The visit will consist of a finger buffet at 1230 followed by a presentation at 1330. The closing date for booking is 1st September. RNSA East Coast Branch have been invited to join Thames Branch but all are welcome.